Log Line: Unresolved events one stormy Halloween night will change the lives of seven people forever. A chance meeting, ten years later, forces an explosive revelation. .
Max Villiers has reached an all-time low. His son Freddie died exactly ten years ago. His surviving daughter, Anna, is working as a Peace Activist in Gaza, and refuses to contact him. Max is worried about her safety but has no one to confide in. His wife Harriet has a form of amnesia and has never acknowledged the death of their son. It’s just never alluded to. Doctors warned him it would take time but with their marriage in crisis Max realises he must do something drastic to put life back on track. Anna’s best friend is twenty-three year old Imogen who is heavily pregnant and married to Marcus. He is not the man of her dreams. But he’s safe. And safe is what Imogen needs because all her life she’s felt abandoned. Initially, when her parents divorced and their subsequent new lives excluded her and later, when Max and Harriet, who were in loco parentis, allowed their own dramas to consume them. She felt like she didn’t exist. About to start her own family, Imogen should be deliriously happy but the grudge she holds against the Villiers obsesses her and she decides it’s time for them to pay. A cleverly manipulated and apparently accidental meeting in which Imogen tells Max that she’s received an email from Anna, becomes the lifeline he has been searching for. He invites her and Marcus to join him and Harriet and their old friend Eddie the following night. Unbeknown to Imogen it’s the tenth anniversary of Freddie’s death. The evening’s events, fuelled by the heightened emotion of the anniversary, force Max to bring the tragedy of Freddie’s death into the open and extract a devastating admission from Harriet. 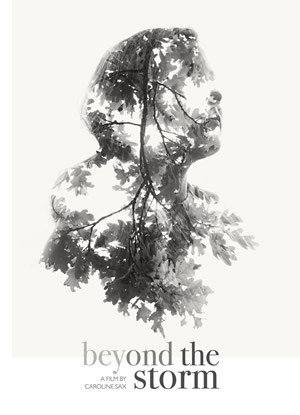 Beyond the Storm is a vivid, surprising and funny exploration of family dysfunction and contemporary relationships.